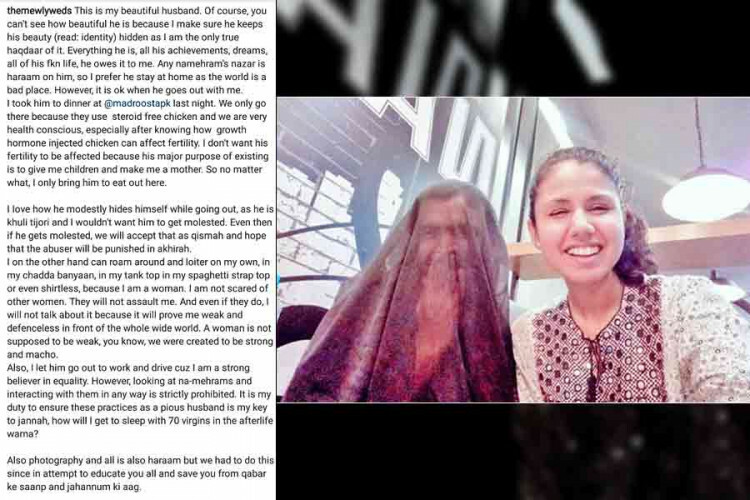 A Pakistani woman on social media slamming the gender stereotypes and patriarchy, shared a photo of her with her husband who seen in a burqa with a must read caption. "This is my beautiful husband. I make sure he keeps his beauty hidden for me. I want him to stay at home as the world is bad. I let him work and drive as I'm a strong believer in equality. However, I can do anything. Also, I'm not supposed to be weak."